To my great chagrin, and with a very heavy heart, I will be suspending site publications for the foreseeable future by month’s end. At the same time, the current site content will remain online, also for the foreseeable future. Said is particularly apt given my “restart publications when possible” intention. The reason is simple and straightforward: I keep spending a lot of time on site content without any compensation while I keep incurring considerable costs (the hibernation will cut costs by 50% – 60%). I can no longer afford to do this. Commensurately, this will be my last post pending the manifestation of the inevitable global asset valuation reset that I have often referenced, and have tried to shed light on, via various publications (posts, reports, and YouTube videos — IF I record any new ones, they will appear on the site thanks to existing links) that extend back over three years. Caveat: I would be less than honest if I didn’t also state the obvious, namely that I have thought this for years. Specifically, given our entrenched and increasingly destructive political, financial, and economic situations — both domestically (in America) and globally — our increasingly long-in-the-tooth asset (OECD nation) valuation disconnects/asset bubbles should have ended/popped years ago. When I say bubbles, I’m referring to bonds, stocks, and real estate. When I say “reset,” I’m referring to much lower future valuations (NPVs) of bonds, stocks, and real estate triggered by much higher interest/discount rates on the one hand, and what will likely prove to be markedly lower sustainable earnings power on the other hand. Talk about a one-two punch. Reversion beyond the mean (not to the mean), or asset valuation history, will come into sharp relief, once again. This time, however, unprecedented levels of debt, unheralded pension underfunding, tougher demographics (aging), failing productivity (which is why we have out-sized debt growth in the first place), increasingly more difficult to access and progressively less affordable “24/7” energy, consistently more eviscerated property right protections, domestic litigation insanity (2.6x Europe’s), and a stark and ongoing decline in the rule of law are largely global realities that suggest an “unimaginable to many” valuation swing, from boom to bust, is in the cards. This is both a huge risk for those that hold pricey assets bought at pricey valuation levels, and a historic, reset-based, strategic return opportunity that can be capitalized on in terms of portfolio allocations/re-allocations. That is, if requisite re-allocations are accomplished prior to an overdue “reversion beyond the mean” bust as regards overvalued assets, which will provide the “intact funds” to purchase “bust valuation” assets as they become available. Should you have an interest in more granularity beyond the links that I provide here, please see publications on this very topic and on related topics on the site. The content selections offer considerable depth and quite some breadth. Moreover, please consider the pivotal role timeless and true save haven assets (not massively overvalued government bonds issued by bankrupt OECD governments! ), namely physical precious metals in your possession purchased at attractive prices (AS IN RIGHT NOW, on October 25th, 2018! ), are likely to play as Frankenstein Finance (financial repression) inevitably begins to fall apart at the ugly, sutured seams. As you do so, dwell on the fact that fiat money, especially the incredibly vulnerable, overvalued US dollar*, will be under mounting currency debasement pressure as central banks (CB), due to political realities and CB ownership interests, double-down on balance sheet expansion, thereby “saving” debtors as they continue to “screw” savers by revisiting ZIRP and even NIRP. Trouble is, with global debt at peerless levels (nearly $250trn at last count) in both absolute and in percent of GDP terms, a creditor revolt is all but a given. Translation: puny central banks/central planners, you will lose control, which interest rates at the long end will reflect, and with a vengeance. Yes, Virginia, history will repeat. In closing, I thought it only proper to let you know. In addition, I also want to take this opportunity to thank my family in the strongest possible terms; without their help, I could have never given this a big push. Plus, I’d like to thank one dear, nearly life-long friend, Doug, for his endless invaluable input, wisdom, sage advice, help, and solidarity. Moreover, I’d like to thank my great webmaster; those that became subscribers; those that read/listened to my publications; those that thought highly enough of the overall site content to spread the word; and, most of all as regards the site, those “intellectual brothers” populating the ethical, constitutional corridors of my beloved alt media universe that a) I have been privileged enough to get to know and b) have seen fit to give my pieces invaluable lifts by providing DK Analytics post links on their precious digital real estate, i.e., on their sites. * – How much would you pay for a heavily indebted, perpetually more indebted, perennially hugely negative free cash flow stock? Well, America’s the corporation, and the dollar is its stock. Allow me a somewhat different post. Hi Mike: thank you for your observations. I apologize for my somewhat tardy response. Under the hopeful moniker of “better a bit late than never,” let me take a few stabs at your questions, which are very apt/topical. In so doing, I’d like to refer to the stagflationary 70s as a understated preview of coming attractions. In that era, and as mentioned in the video you kindly reference and as I also referred to in a few posts, we actually had US stocks lead US Treasuries into the crapper. I am back down here. Hope this chart copy/paste effort works on youtube. Life is an adventure! 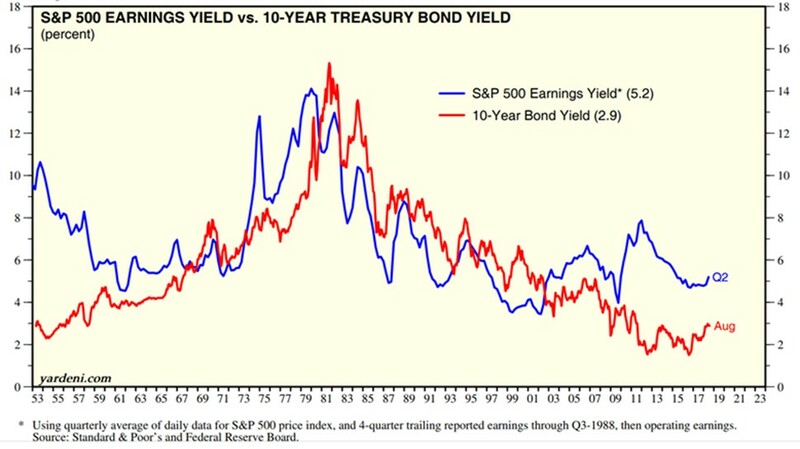 My bigger point: falling stocks could ultimately “lead” falling bonds higher, as in the era (the 70s) I believe we are likely to revisit, but on steroids this time around. Plus, and this is the biggest aspect of all, in my view, we are going to have a monetary crisis when investors realize that there is no escape from monetary debasement purgatory. That is, as I hope I said fairly well, bonds are ultimately reflections of the soundness of the currencies in which they are based. With the Potemkin village dollar about to smell the “emperor wears no clothes” coffee (there is no sustainable growth/productivity, there is are no sustainable interest rate increases possible given our winded, big government, mis-allocated, heavily-indebted, regulatory and litigation-mired economy), the most overvalued junk currency of all is going to take a big, big hit. I don’t think there will be a recovery for a long, long time (it took decades to get into this mess, and you don’t get out of it in a Trumpster N.Y. minute, for God’s sake!) from the upcoming hit. Other nations, esp. those with mercantilist trade policies, will move to weaken their currencies relative to the dollar, which means they too will likely engage in (MORE) monetary debasement as well. Thus, I don’t think, with $250trn in global debt (or almost) and some $16trn in central bank balance sheet expansion, that we’ve seen anything yet! Which brings me back, admittedly in a round-about but hopefully still logical way, to your question. Where will all the money go that’s sitting in bonds (a huge chunk of the $250trn). Well, part of the answer is that a lot of it will be destroyed in an era of rising interest and, thus, discount rates (relates to stocks and RE and leases). Same goes for stocks. The printing press can levitate bond and stock values beyond any semblance of price discovery or rational valuations (which price in constructive odds of earning a real return and capital preservation). This IS precisely what we’ve been seeing for the past decade. When this no longer works, i.e., the printing presses either run in reverse (Fed QT) or when the central banks start up their electronic printing presses in untold, even more currency destructive lines led by the Fed, then at some point confidence in fiat currencies is lost, and bonds take a hit, and another hit, and then it feeds on itself until we go into manic low bond values, manic high bond yields. 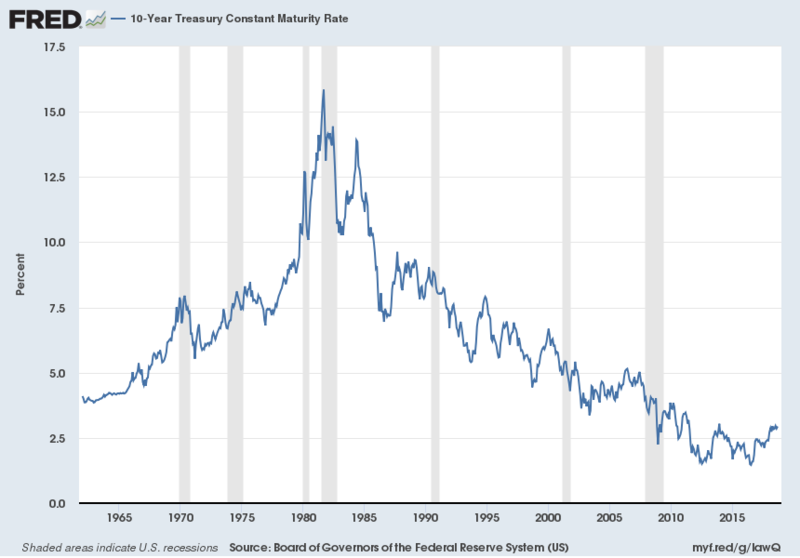 Point being: when you invest money, you no longer have money, you have bonds and stocks (and RE) based in a fiat currency –hell, you no longer have money when you deposit in a bank, save for a stub, but that’s another dangerous story. In any event, my point is that the value of those assets can shift dramatically for a host of reasons, from perception to reality, from boom to bust. Thus, when you go to sell and thus go back into cash (which really isn’t if it gets deposited in a bank account, buy select short-term OECD gov’t debt instead), you may only have a fraction of the money back which you invested. It’s exactly the above which I think will happen. Most, or at least many, investors will get stuck in the reset take-down of bond and stock values. Their unrealized gains will turn into unrealized losses. So their reallocation firepower will be much reduced. As will their net worths. But in the process, I am firmly convinced that the HUGE global creditor constituency will pummel bond and, by extension, stock valuations (the trigger being currency or monetary crises uncorked by USD destruction). Said is ESPECIALLY apt as soon as investors can no longer assume (pretend) that financial repression has worked, and that we can get out of currency debasement (QE, ZIRP, NIRP) purgatory after all. In a related manner, the buck and US government bonds may have a brief and oh-so-erroneous flight to safety tailwind. But this time around, for all the above reasons, I believe it will prove very fleeting, which will then serve to reinforce the downward pressure on both the buck and US bonds, which will spread globally as we inevitably slide into an even more pronounced global currency devaluation contest for political reasons. I think investors will shift into real scarcity assets, led by scarce ag and scarce dense energy assets. These are not only vital to sustaining life for 7.2bn plus people, but these assets underpin the leveraged output that allows us to generate income in the first place (fossil fuel exploitation). I think investors will seek the only true save havens, physical gold and silver (no paper crap, because it is an un-backed scam of criminal proportions). I think people will try to take what they can out of an imploding global asset bubble in bonds, stocks, and RE and “flee” into economically viable local businesses, which have often been starved of capital in a crony capitalist world, as our world is going to get a lot larger again. I think investors, at least at the margin, will do this for a whole host of holistic, quality of life, ethical, and bottom line reasons, including greater control. In closing (almost), and sorry about the length of this — I may just try to leverage this into a post! — everything happens at the margin, Mike, as we both know. Prices are determined at the margin. Just ask central banks and their “10-year old tail wags the dog” puts. When perception changes, be it based on the Fed’s QT effort, or that the central bank tail will be overwhelmed by the $250trn global creditor dog, bond NPVs/valuations — and everything tied to them, and I mean everything — can change quite quickly (sorry, grandma), whether you are in Australia or in Germany or in Japan or in Canada or in America. Most important, in my view, is that you are in the right kind of “investment grade” bonds, namely short-dated ones, which won’t get whacked by the upcoming global interest rate surge. Let me see if I can copy/paste a Fed chart on the US 10-yr bond into place below here to try to drive home the quite quickly point as people forget what happened in the 70s or 80s, or just weren’t around, like your oldster but lovin’ it author, Dan (Hope this all works, and that I didn’t just charcoal an hour or two, because as of tomorrow I’m off to my substitute teaching “moonlighting” for three consecutive weekdays, so I will be a bit Internet shy for a while). Oh yes, and that chart! Please see below. And take a look at how fast the rate climbed from 8.8% to 12.6%, or from 10% to 15.4%! How does in less than a year sound?! Sorry, Mike, missed one thing — you’d think that my “over the top” response would have at least captured everything! Here goes: I think value stocks will also get hit, should interest rates/discount rates rise smartly (what I believe is in store). But, given their shorter lower P/Es/de facto shorter durations, they should get hit significantly less than growth stocks. My value stock example (links provided in post) would decline by 38%, the growth stock (linked to the Russell 2000) would shrivel by 48%. Point being: unless you’ve purchased great investment grade stocks at a fraction of today’s prices years ago which currently offer you very low P/Es (based on your purchase price) and very juicy dividends (based on your purchase price), you should consider “letting go” and facing tax consequences as applicable given your jurisdiction. In my opinion, which is based on our political, financial, and economic landscape juxtaposed against bubble valuations, most stocks are going to get clocked. Widespread bargains should be available within years, if not substantially sooner (as in perhaps months), that will likely remind us of the 70s stagflation valuations. I’m referring to metrics (doesn’t that new age word sound so cool?) such as P/Es of 6 or 7, E/Ps of 14 or 15, and dividend yields of 8% plus. Hope this lighter than usual post provides some useful questions courtesy of a fine, knowledgeable gentleman by the name of Mike (questions that you may also be pondering) as well as some worthy of your time” attempts to address them by yours truly. I also hope that this unconventional piece puts a little smile on your face or elicits a “yup, that’s true” response once or twice as you read it.